« Question – Does Santa Claus Really Exist? Thurles man Tom Noone is the 2008 winner of the Tipp Reads/Premier Short Story Competition and was presented recently with his prize by best selling author Frank Delaney. His short story entitled ‘The Boy Who Knew Things‘ draws its readers, possibly, back to the late 1950 or early sixties in rural Ireland. In this remarkable story, Tom demonstrates his ability, using few words, to paint detailed pictures, worthy of Ruisdael, Gainsborough and Turner, using the inward eye as his canvas. Each movement in his story is recorded with the accuracy of a video camera. Using his eyes as a lenses and his brain as some sort of electronic capturing device, Tom has managed to capture more than the normal 120 frames per second, to bring us a high definition video, using only words, each carefully chosen to emanate maximum emotion. Tom, a former training manager, admits to an intense interest in people and places. He gains enormous expression by his involvements in numerous local social and community organisations. Many people will recognise Tom, from his days as project leader, for the indexation of church registers in many Cashel and Emly parishes. This latter excellent work now forms an invaluable database, as those involved in any form of genealogical research will attest. Tom in the past has published local history papers, a number of selected poems and is a regular contributor to our Thurles local newspaper ‘The Tipperary Star’. 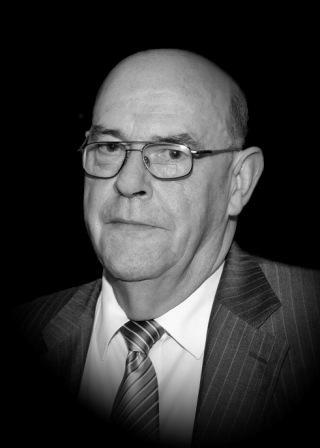 He is probably best known through his strong links with Thurles Credit Union. Can we expect a small anthology of short stories from Tom in the near future? I can not answer this question, but this I forecast, that much will be lost to the world of imaginary tale, should he neglects this, his very rare story telling ability.